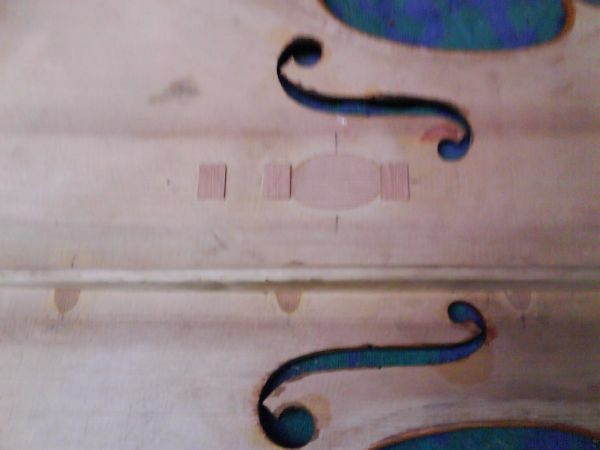 Bass bar cracks can distort the shape of the instruments top because of the strain of the bass bar. Occasionally these types of cracks can be glued from the outside but most likely you will need to remove the top. 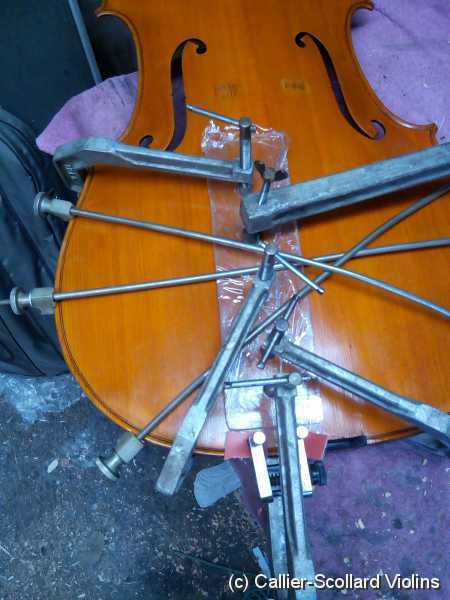 When an instrument's top is no longer has the correct arch then the bass bar needs to be removed. 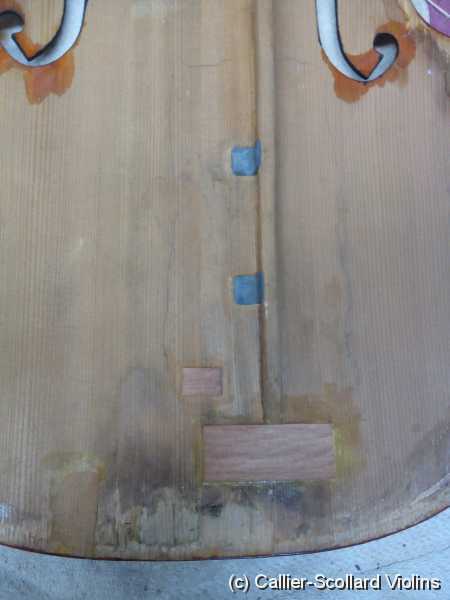 The arch of the top is then corrected and the crack is glued back together. I like using inlaid cleats. Once the cleats are inlaid and finished to the same thickness as the top, a new bass bar can be fitted on top of the stable crack. 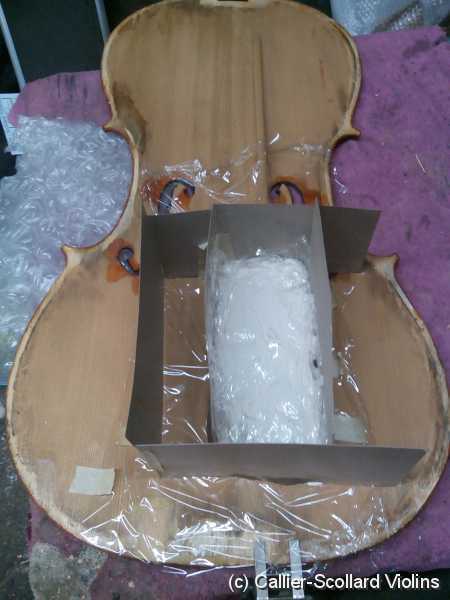 If the crack is at least a couple of millimeters from the bar and there is not excessive pressure from the bar, then it's possible to make a mold and then glue the crack together. Ninety degree cleats can be used to support the crack. 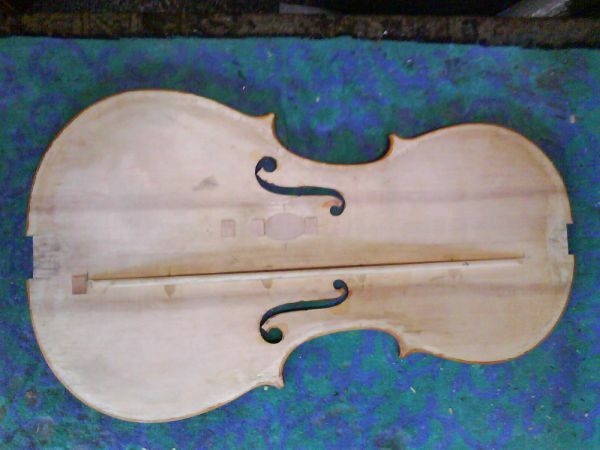 This is a cello that sounded very nice. Since the crack was slightly off to the side of the bass bar we decided to use the original bar and cleat it. The repair looks beautiful inside and out, thank you for your thoughtful rescue.